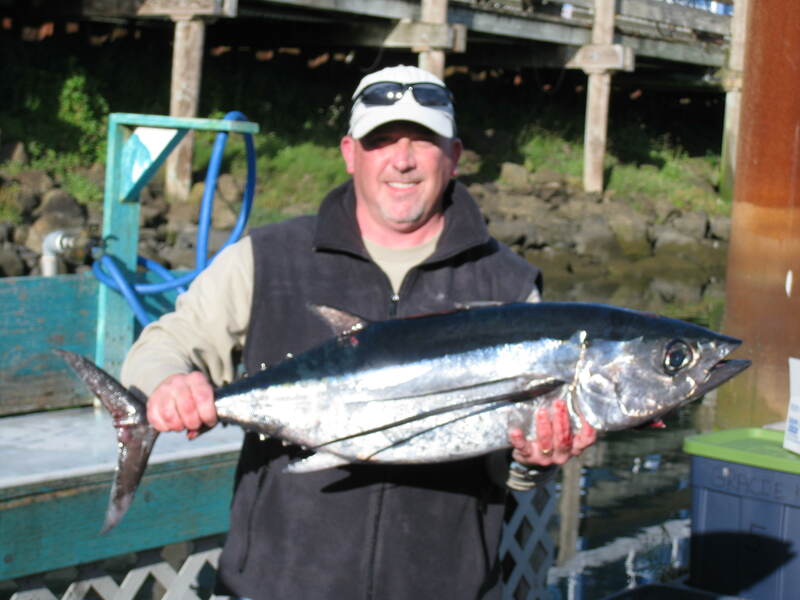 Yaquina Bay Charters » Albacore Tuna, Fish Counts, Fishing Information, Latest News, Photos, Trips, Yaquina Bay Charters » ALBIES! July 22nd, 2011 | Comments Off on ALBIES! We are catching tuna around 35 miles out now, brought in 20 on Wednesday and 23 Thursday with another trip out today and one going tomorrow. Saturday’s 12 hour trip has one spot left on it for any last minute folks! 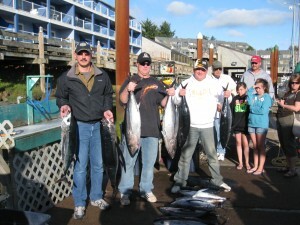 The schedule for August is looking really busy with more than 25 12 hour tuna trips on the books and one 18 hour trip so far arranged for August 2nd. The 18 hour has 2 spots left, leaves at midnight and returns at 6pm on the 2nd. All other trips are 12 hours and leave at 6am. This part of the early season we spend most of our time trolling with heavy tackle, but on occasion when the conditions are right we do throw out jigs and irons on light tackle spinning reels. 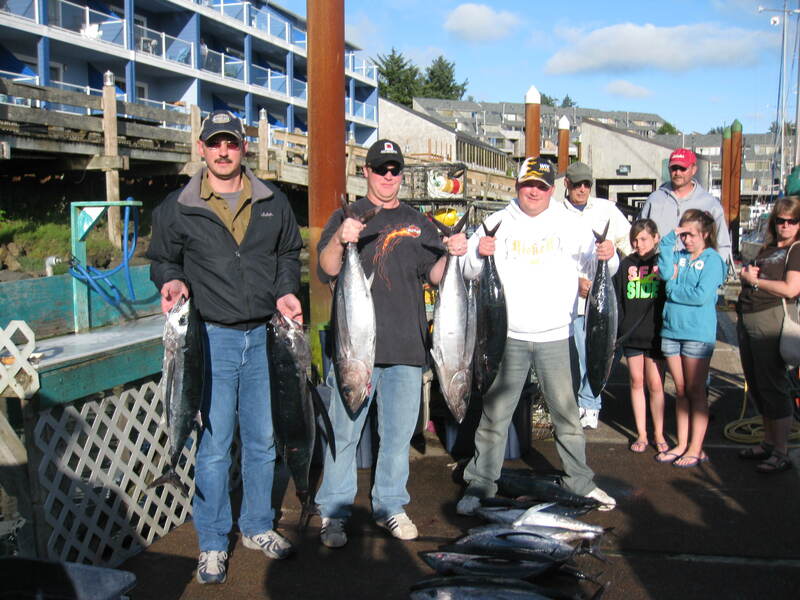 August is usually the best time for a the most light tackle use and when we start trading some of our plugs and jigs for bait.